I'm definitely on the scrap band wagon, sorting my scraps and then creating something that inspires me to use them, or even to be bold and cut into some fat quarters I've had in my stash for years! Its such a good feeling and as blocks come together I don't even feel slightly, (well Ok then, maybe just slightly) bad about cutting into them, but I know now I'll just use them to make something else. 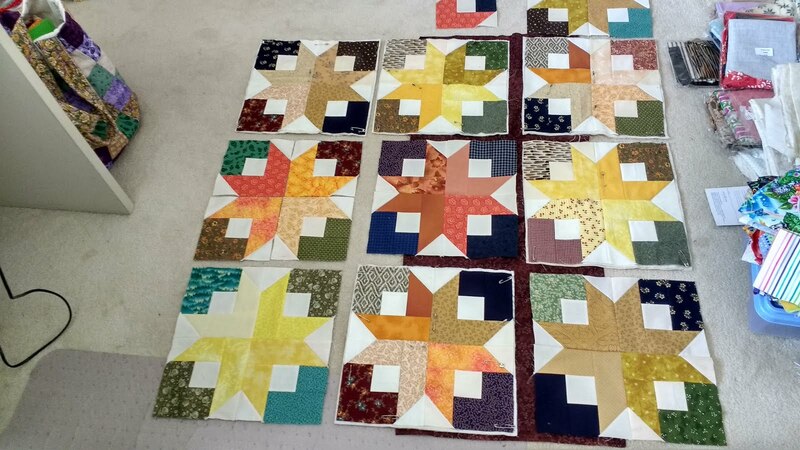 So this is what I'm currently working on, Boxy stars (thanks to Bonnie Hunter's Quiltville free patterns). The blocks are made from 2½" strips and come together so easily and quickly. The longest piece for the 'star arm' is 6½", the other arm, 4½" (so a total 11" strip). To a background 2½"piece, add one of the darker/corner pieces, 2½". 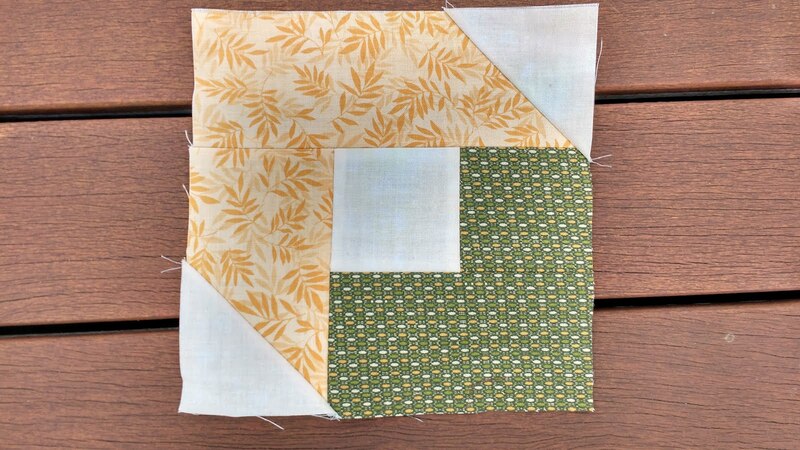 Keeping the background square on the left of the 2 sewn pieces, attach the 4½" darker/corner piece below. Again keeping the background piece on your left, attach the short (4½") piece of the star arm. Attach the longer (6½") piece of the star arm to the top to complete the quarter of the whole block. To create the star points, mark the remaining background squares in whatever way you usually do (draw a diagonal line, or if you prefer a slightly lazier method like me, just press them in half). Place these on opposite corners of the block and either cut away the excess, (or save it for another project with 2 inch half square triangles). I tended to keep my stars to one colour family - whether yellow, gold, orange or a rusty peach. The corners I used greens, navy or browns. I'm also doing a quilt as you go method, so here is one block given a little quilting, outlining the star and then doing some cross hatching in the background areas. I used a cream coloured thread, I guess I could have used a darker one to make it stand out a little more, something to bear in mind for next time. I need to work on the sashing, then it will all come together well I hope. A fun way to use up some of those scraps! Very pretty boxy stars. I have lots of 2.5" strips so I need to make boxy stars. Thanks for the inspiration. Ooh, that's pretty, Lynn! 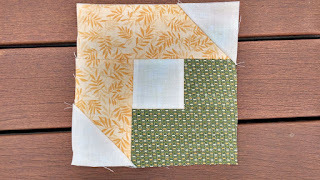 Thanks for sharing the directions for this block - it looks like a really good one for scrap busting! 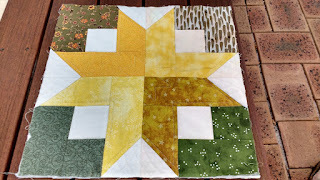 Thanks for linking up for the I May Have a Scrap Problem show-and-tell! So gorgeus blocks.Thanks for the tips.